The lighting you choose can change the entire look and feel of your home. When used strategically – especially outdoors – it can also aid in keeping your home and property secure from intruders. Well-lit areas are less appealing to burglars and home invaders, so outdoor security lighting is a good investment. Whether you are looking to change up your indoor lighting to create a warm, inviting space, you’re thinking about investing in outdoor security lights, or you are considering outdoor lighting to make your yard and outdoor living areas more appealing, let the expert Hagerstown electricians at Larry & Sons help. From small projects like installing a lighted ceiling fan to bigger projects like installing new lighting throughout your home or your property, we are equipped to handle any indoor and outdoor lighting projects. Working with electricity is dangerous when you do not have the proper training, tools and equipment. At Larry & Sons, our electricians are highly trained and possess the proper tools and supplies for tackling electrical projects of all sizes and scopes. Safety is our top concern, and when you choose us for the job, you will never have to worry about the risks associated with an improper wiring job. 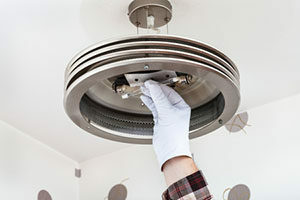 A lighted ceiling fan is an effective way to add light inside your home, but there are several other solutions. Whether your home isn’t as light as you would like or you have plenty of light but dislike your features, we can provide the upgrades you need to fall in love with your home all over again. 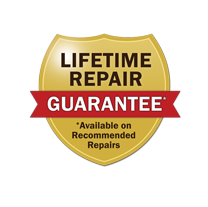 At Larry & Sons, we believe in providing our customers with high-quality electrical services they can trust. Whether we are installing or replacing a single light fixture or completely redoing your home’s outdoor or indoor lighting, we will give your project the attention it deserves. To schedule an appointment or learn more about our electrical services, please contact us today.